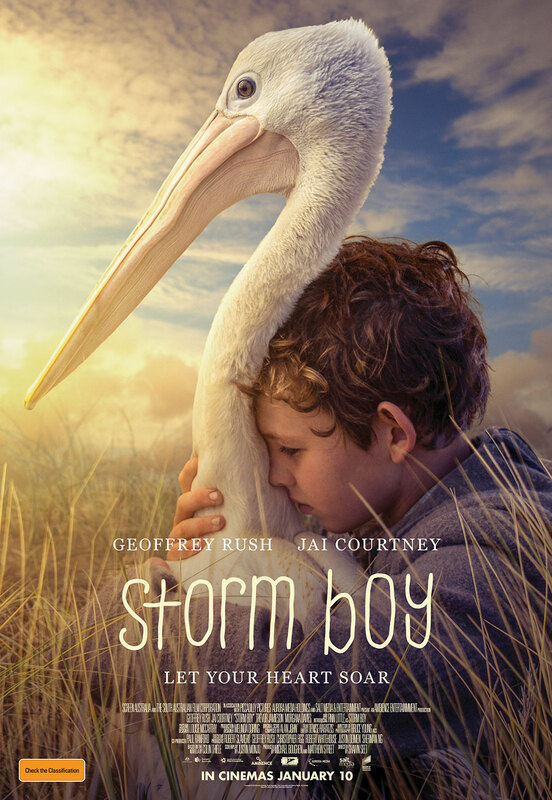 Based on the best-selling novel of the same name, Storm Boy stars Jai Courtney, Geoffrey Rush, David Gulpilil and introduces Finn Little. Oscar-winner Geoffrey Rush plays Mike ‘Storm Boy’ Kingley, a grandfather who recounts the story of his life to his granddaughter. Mike reflects on how as a boy, he saved the life of an orphaned pelican known as Mr. Percival, and whose story would go on to have a profound effect on the lives of all those around him. Newcomer Finn Little plays the young ‘Storm Boy’, with Jai Courtney as his father. The film is based on the 1964 Australian novel by Colin Thiele. This classic coming-of-age tale gets a new a cinematic dramatisation in 2019 from director Shawn Seet. Judging by the first trailer, audiences can expect a tale of friendship and adventure, suitable for all ages. The film aims to pull on the heartstrings with its touching story while featuring some of the best Australian talent on offer today in the form of Jai Courtney and Geoffrey Rush. Rush, of course, needs no introduction, and Courtney is currently trying to make waves in Hollywood, having recently starred in Suicide Squad (2016) and Terminator Genesys (2015). Those films weren’t met with the best reception, but Courtney’s career is still just beginning, with plenty of room to grow. Storm Boy releases on 10 January 2019. Check out the new trailer and poster below!